The main objective of the report is to analysis the Loan and Advances of Uttara Bank Ltd. Other discussion are to get an idea regarding various types of Loan and Advances of Uttara Bank and identify the loan sanction procedure in different sectors in last some years. Report also identify the credit approval, their securities and monitoring process and identify the recovery rates of the loans in different sectors in last some years and have a comparison among them. Finally find out some problems regarding loan and advances and give some recommendations for improving the Loan and Advances services. The general objective of the study is to figure out the Loan and Advances of Uttara Bank Ltd.
To have idea regarding various types of Loan and Advances of Uttara Bank Limited. To identify the loan sanction procedure in different sectors in last some years. To know the loan and advances activities of Uttara Bank Ltd. at shyamoli branch. To identify the recovery rates of the loans in different sectors in last some years and have a comparison among them. To identify the problems regarding loan and advances and give some recommendations for improving the effectiveness and efficiency of Loan and Advances services. Conversation with the respective officers and staffs of the branch. Practical work experience in the different desk of the department of the branch. Annual Report of Uttara Bank Ltd.
Website of the Uttara Bank Ltd.
Several books and periodicals related to the banking sector. Different circular sent by the head Office of Uttara Bank Ltd. The scope of the study includes the organizational structure, background and objective, functional, departmental and business performance of UBL as a whole and the main part covers loan and advance of UBL. Uttara bank is one of the largest and oldest private sector commercial bank in Bangladesh. It has 211 branches at home and 600 affiliates worldwide create efficient networking and reach capability.UBL adapts new technology both in terms of equipment and banking practice ensures efficient service to its clients. Uttara bank was incorporated as a public limited company on 29th June in 1983.Total equity(capital and reserve) of the bank as on 31st December stood as taka on 802,243,079.The Authorized capital of this bank is taka 200,000,000/-(Taka twenty crores) only divided into taka 2,000,000/- (Taka twenty lack) ordinary shares of taka 100/-(one hundred) . As per Bangladesh Bank BCD Circular No. 34, dated November 16, 1989, provision for classified loans and advances are to be made for Tk. 343.56 crore out of which Tk. 214.52 crore has been provided for in the Accounts up to December 31, 2000. Bangladesh Bank vide there letter, dated 26.05.1998 has allowed time to make full provision within the year 2001. Uttara bank performs all traditional commercial banking functions. These bank has correspond relationships with 600 foreign banks/bank offices and exchange houses in 72 countries.UBL formed taking overall the assets and Liabilities of the ‘Eastern Banking Corporation Ltd.’ of Former East Pakistan. It was the only Bengali owned private bank in East Pakistan. UBL worked as a nationalized Bank over a decade. It was denationalized in Sept. 15, 1983 as per Ordinance No. XLVII of 1983. Since 1983 it is known as Uttara Bank Limited. UBL is one of the largest private banks in Bangladesh bank. There total number of employees nearly 3,562.The board of Directors consists of 13 members. .It operates 211 fully computerized branches ensuring best possible and fastest services to its value clients. The bank is headed by the managing director who is the chief executive officer. The head office is located at Motijheel in capital city of Dhaka. The Bank is listed in the Dhaka Stock Exchange Ltd. and Chittagong Stock Exchange Ltd. as a publicly quoted company for trading of its shares. With the objective of attracting the Bangladeshi wage earners abroad and the non-resident foreigners to invest in Bangladesh, the bank offered them the opportunity to open non-resident foreign currency deposit accounts and foreign currency current deposit accounts with it. By sides the bank consists of major divisions named 1) Corporate banking, 2) Retail banking, 3) Treasury, 4) Small & Medium Enterprise (SME). At present the bank operating its business by 211 branches. To be the best private commercial bank in Bangladesh in terms of efficiency, assets competence, asset quality, sound management and profitability having strong liquidity. Uttara Bank will be a unique organization in Bangladesh. It will be a knowledge-based organization where the Uttara Bank professionals will learn continuously from their customers and colleagues worldwide to add value. They will work as a team, stretch themselves, innovate and break barriers to serve customers and create customer loyalty through a value chain of responsive and professional service delivery. Uttara Bank Ltd. will serve its customers with respect and will work very hard to inspire a strong customer service culture throughout the bank. It will treat its employees with dignity and will build a company of highly qualified professionals who have integrity and believe in the Bank’s vision and who are committed to its success. Uttara Bank Limited provides high quality financial services to strengthen the well-being and success of individual, industries and business communities. The Bank has remained dynamic in its continued efforts to improve & increase core competence & service efficiency by constantly upgrading product quality, service standards, protocol and their effective participation making use of state of the art technology. UBL intends to play more important role in the economic development of Bangladesh and its financial relations with the rest of the world by interlinking both modernistic and international operations. The bank looks forward with excitement and a commitment to bring greater benefits to customers. The bank intends to meet the needs of their clients and enhance their profitability by creating corporate market. Building a strong relationship with customers and focus what they want based on integrity, superior service. To strive for profit and sound growth. To creating an honest, open and enabling environment. To value and respect of people and make decisions based on merit. To work as a team to serve the best interest of our owners. To responsible, trustworthy and law-abiding in all that we do. To mobilize the savings and channeling it out as loan and advances as the company approve. To finance the international trade both import and export. To establish, maintain, carry on, transact and undertake all kinds of investment and financial business including underwriting, managing and distributing the issue of stocks, debentures and other securities. To base reward and recognition on performance. To value the feet that they are the members of uttara bank family committed to the creation of employment opportunities across Bangladesh. To encourage new entrepreneurs for investment and thus to develop the countries industry sector and contribute to the economic development. Telephone and internet banking services. Loan and advances granted by Uttara bank are highly beneficial for firms, individuals, companies and industrial concerns. Loan may be regarded as credit granted where the money is disbursed and its recovery is made on a later date. It is a debt for the borrower. Advance is a credit facility granted by the bank. Bank granted advances for short term purposes. Loan and advances granted by banks help in meeting short term and long term financial needs of business enterprises. Loan and Advances comprise the most important asset as well as the primary sources of earning of the bank .On the other hand .loan is also the major sources of risk for the bank management A prudent bank management should always try to make an appropriate balance between return and risk involved with the loan portfolio and unregulated bank might be with unregulated risk for maximizing its potential return .In such a situation, bank might find itself in a serious financial distress instead of improving its financial health .Consequently not only the depositors but also the general shareholders will be deprived of getting back their money from the bank. Loans and advances mean lending made by the bank to weak clients for earning interest. Main objective of the loans and advances is to earn profit for the bank. On an average of 75%to 80% of the banks earning come from interest received against the loans and advances of a bank. Bank does not interfere with the use, management and control of borrowed money but takes care to ensure that the money lent is used only in business purpose. Loan and advances are utilized for making payment of current liabilities, wages and salaries of the employees and also the tax liability of business. Loan and Advances from banks are found to be economical for traders and businessman because banks charge a reasonable rate of interest on such loans and advances. Loan and advances can be arranged from banks in keeping with the flexibility in business operation. Loan and advances by Banks generally carry element of secrecy with it. Banks are duty-bound to maintain secrecy of their transactions with the customers. Uttara bank has different type of loans. As per banking company act 1991 every company has to maintain a specified minimum (presently 16%) of the total of its demand and time liabilities in the form of cash and approved securities with Bangladesh Bank. .This percentage or ratio is termed statutory liquid ratio. The Bank continued to consolidate and diversify its portfolio in 2010 to have a diversified client base and portfolio distribution across the sectors to reduce client specific concentration and industry specific concentration and to reduce overall portfolio risk. In 2010 Uttara Bank Ltd registered a steady growth in the credit portfolio posting a growth of 23.37 percent. Total loans and advances of the bank stood at taka 48,672.7 million during the year 2010 as compared to TK 39,451.4 million of the previous year .Average loan per Branch stood at TK 230.7 million .Sector wise allocations of advances revealed a well- diversified portfolio of the bank with balanced exposure in different sectors. His percentage or ratio is termed statutory liquid ratio. Commercial banks allow different forms of advances. Cash Credit allowed against hypothecation of good is known as Cash Credit (HYPO) limit. In case of hypothecation, the borrower retains the ownership and possession of goods on which charge of the lending bank is created. Under this arrangement a credit is sanctioned against hypothecation of the raw materials or finished goods. The letter of hypothecation creates a charge against the goods in favor of the Bank but neither the ownership nor its possession is passed on to it; only a right or interest in the goods is created in favor of the Bank and the borrower binds himself to give possession of the goods to the bank when called upon to do so. When the possession is handed over, the charge is converted into pledge. This type of facility is generally given to the reputed borrowers of undoubted integrity. 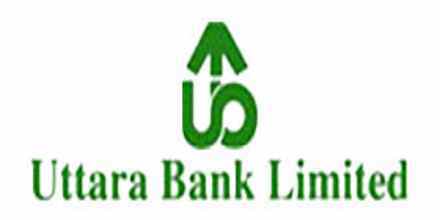 Charge of Uttara bank limited is 15%. The bank should take the following precaution. The banker should carefully verify the stocks of hypothecated goods and their market price. Stocks should be duly insured against fired burglary. Bank should try obtaining sufficient collateral security. Periodical statement of stock duly signed by the borrower should be obtained. The goods are readily saleable and have good demand in the market. The borrower should be trustworthy and prudent customer. The price of the goods, offered as security, is to be calculated as per purchase price or market price whichever is lower. The price of goods is steady etc. Cash credit allowed against pledge of good is known as Cash Credit (Pledge).In case of Cash credit (Pledge), the borrower pledge his goods to the bank as security against the Credit facility. Banks retain the effective control of the pledged goods. Pledge goods may be stored in a go down of the borrower but under lock and key of the bank. Banks guards are posted to protect the go down sometimes; pledges goods are in Banks go down. Land revenue receipt and holding tax receipt. Contract deed of rental shop. Balance sheet of 3 years. In case of SBL the borrower will get loan from the bank against his business. Here the bank will charge against the amount of loan. Maximum limit of the loan is TK 5 lac. Uttara bank Ltd Charges 15% interest against the amount. Bank will obtain following documentation from the borrower. Commissioner Certificate/ ID card/ Passport/ Photocopy as the identity of the borrower. Photographs of the mortgage property. Documentation of property (Dalil,Parcha,Khajna rasit)etc. Audit report of the property. Prudential Regulations for Consumer Financing Regarding financing the purchase of used vehicles Bangladesh Bank, Banking Regulation & policy Department, Head office, Dhaka issued a BRPD Circular letter No. 15 dated 20/12/2010 in relation with financing on Auto vehicles loan which is respected below, for meticulous compliance, Banking Regulation & policy Department Bangladesh Bank, Head Office, Dhaka-1000. Prudential Regulation for consumer Financing please refers to Regulation 21 of Guideline for Regulation for Auto (Loan) Circular vides BRPD Circular No.33 dated November 2010. 5% Incentive on total interest charged. The banks desirous of financing the purchase of used vehicles shall prepare uniform guidelines for determining value of the used vehicles, however, the bank shall only finance the vehicles imported as described in the existing import policy order, to cater the urgent financial need of the service holders having limited income bank introduced loan scheme. The outstanding balance of the same stood at Tk2.0 million at the end of the year 2010. Any permanent salaried employee aged between 20 to 55 years is eligible to loan. Maximum period of loan upto 3 years. In case of UHRL the borrower will get loan from the bank by giving mortgage of his property. Here the bank will charge against the amount of Loan. Maximum limit of the loan is TK.25 lac. Uttara bank Ltd charges 15% interest against the amount. Commissioner Certificate/ ID card/ Passport photocopy as the identity of the borrower. To help genuine House/ Building/ Flat owners to undertake repairing, renovation works for better living or increasing rental income. To help the owners of House/ Building/ Flat to get loans at a minimum time & without any hurdles. To contribute towards development of socio-economic condition of the society. To improve the standard of service holders and self employed persons or Retired Government Officers, excluding Businessmen, developer. Interest: 15.00% per annum with yearly rest subject to change that may be made by the Bank from time to time. Processing Fees: @TK 1000.00 (Taka One Thousand) only per lac to be realized before processing of loan. Cost of Application form & Prospectus: TK 200.00 (Taka Two Hundred) only. If loan installments are regularly & timely paid without any default, the borrower will be allowed incentive at the rate of 5% of the total interest charged which will be refunded on full adjustment of the account. The loan is to be repaid by equal by monthly installments including interest maximum within 8 (Eight) years for loan above TK 5.00 lac (Taka Five Lac) only. Repayment will start after 3 (Three) months of availing 1st installment of the loan. Registered Mortgage of the property where against loan is to be availed by deposit of original Title Deed with chain of documents. Registered Irrecoverable General Power of Attorney empowering the Bank to sell the mortgaged property as and when required. An undertaking by the borrower in banks prescribed form to pay monthly installments regularly in time. Post dated cheque for all installments to be deposited in advance. Personal Guarantee of Spouse or any other person acceptable to the bank is to be obtained. Application in prescribed form duly filled in all the columns and signed by the applicant. Personal Net Worth statement of the client. Lawyer’s opinion on the documents of the properties. The genuine House/ Building/ Flat owners of small and fixed income group or retired persons may avail of the opportunity to repair, renovate their own house according to their need and repayment capacity. Any owner of House/ Building/ Flat aged between 30 to 55 years will be eligible to get loan under this scheme who are financially capable to repay the loan having income or additional income from own source and added rental income to be guaranteed after utilization of the proposed loan. In case of age bar of applicants the proposals may be considered for sanction if the guarantor is found good or other source of income of the applicant covers the installment of the loan. The House/ Building/ Flat to be repaired and / or renovated by the loanee should not be older than 20 years. The monthly income will be certified by the employer of the concerned loanee in case he is a service holder. The employees or their dependent of Uttara Bank Ltd. Are not eligible to get loan under this scheme. The applicant must have a saving Account with the branch of the Bank from where he / she want to avail of the loan. Bank reserves the right to accept or reject any application without assigning any reason whatsoever. Uttara Bank Limited started granting of credit facility against Inland Bill Purchase by issuing the Instruction Circular No.243 dt. 17-01-99. subsequently certain amendments have also been made there to provide Credit Division. Only those bills will be purchased which arise out of genuine business transactions of manufacturing units/concerned. The concerned branch allowing IBP facility must see that the bill has been drawn by the party himself and he is not the purchaser of goods/services or endorser of the bill. The applicant requesting for IBP facility will have to submit all the shipping documents as required in the ILC opened by buyer’s bank. On receipt of acceptance and maturity date for payment of the bill from ILC opening bank, our concerned branch will invariably verify, by physical contact with concerned ILC issuing bank, the genuineness of the said acceptance letter by relationship Manager/ second Officer/ Dealing officer (not bellow Principal Officer) with authorized signature to be counter signed by the branch incumbent. The branches must not purchase Bill against ILC opened by any of our Bank branches. In case of any need for purchasing against ILC of our bank, prior permission from Head Office is to be obtained. The loans under IBP will be allowed by the concerned Branch Manager as per his above discretionary power. The loans falling beyond his discretionary power will be allowed only on sanction from the concerned Zonal Head or Head Office as the case may by. In case the liability against any IBP is not adjusted even within 30 days after due date of payment, the matter shall be referred to Head Office, International Division giving full particulars of bills/LCs for taking up the issue by them for settlement. Rate of interest: 13.00% per annum with quarterly rest subject to change that may be made by the bank from time to time. The following papers and change documents are to be obtained/ executed by the party before allowing IBP. All concerned must comply the instructions of this circular meticulously while granting credit facility against IBP. On the arrival of goods and lodgment of import documents, importer may request the bank for clearance of goods from the port (custom) and keep the same to bank go down. Proper sanction from the competent authority is to be obtained before clearance of consignment. For giving these types of loan, officer makes loan proposal and sends it to H/O for approval. After getting approval from H/O, bank grants loan in the form of LTR. Advance against a Trust Receipt obtained from the Customers are allowed to only first class tested parties when the documents covering an import shipment or other goods pledged to the Bank as security are given without payment. However, for such advances prior permission/sanction from Head Office must be obtained. The customer holds the goods or their sale-proceeds in trust for the Bank, till such time, the loan allowed against the Trust Receipts is fully paid off. The Trust Receipt is a document that creates the Banker’s lien on the goods and practically amounts to hypothecation of the proceeds of sale in discharge of the lien. Overdraft is a loan. A person must need to have cash deposit if a person wants to take this loan. If a person has a FDR or MDS deposit in UBL he can get the loan. For MDS owner needs to pay 15% loan interest. For FDR owner needs to pay loan interest up to 2% than his FDR interest rate. Overdraft loan can be given to government employee. In that case they need to show land security and the payable interest rate is 16%. 25% advance loan can be given by the bank on work order value. At present the bank is disbursing Agriculture Loan to the farmers directly through its all branches with simple terms and conditions. The persons interested in agriculture works , including men and women, landless, marginal farmers and shared croppers are eligible for receiving Agriculture Loan from the bank .The Agriculture credit sectors of banks are crops, irrigation, equipments, agriculture machineries ,livestock, fisheries (including Shrimp) and poverty alleviation etc. This loan is basically given by UBL because of poverty reduction. The limit of this loan is 1 lac without showing any kind of property. But by showing property the loan is unlimited. Woman can take this loan by starting a business. The limit of these loans is up to 15,00,000 and the interest rate is 10%.A women can get this loan up to 5,00,000 without showing any kind of property. 05 Loan against FDR(our bank) 2%plus concerned FDR rate. The respective unit office sanctions loan to the clients if it is between 2 & 5 lacs and then send the sanction letter including all necessary charge documents to the asset operation division for disbursement the loan. If the amount is higher than 5 lacs then the respective unit office sends the proposal to SME head office for sanction. The head of SME sanctions the loan and sends the sanction letter including all documents to the AOD for disbursement and inform the respective unit office regarding sanction of the loan. Select potential enterprise: For loan, in this step the CRO conduct a survey and identify potential enterprise. Then they communicate with entrepreneurs and discuss the loan program. Loan Presentation: The function of CRO is to prepare loan presentation based on the information collected and provided by the entrepreneur about their business, land property (Where mortgage is necessary). Collect confidential information: Another important function of a CRO is to collect confidential information about the client from various sources. The sources of information are suppliers regarding the client’s payment, customers regarding the delivery of goods of services according to order, various banks where the client has account which shows the banks transactions nature of the client. Open client’s accounts in the respective bank: When the CRO decided to provide loan to the client then he/she help the client to open a bank account where Uttara bank has a STD.A/c. Uttara bank will disburse the loan through this account. On the other hand the client will repay by this account. Although there is some exception occur by the special permission of the authority to repay by a different bank account. Fill up CIB form: CRO gives a CIB form to the client and the client fill and sign in it. In some cases if the client is illiterate then the CRO fill the form on behalf of the client. Then CRO send the filled and signed form to the SME, head office. Sending CIB to Bangladesh Bank: The SME, head office collects all information and sends the CIB form to Bangladesh Bank for clearance. Bangladesh Bank return this CIB form within 10-12 days with reference no. BL (Bad lose): if the client has any loan facility in any bank or financial institution and if the installments due for more than 18 or above months then BB use BL in the report. This report indicates that the client is defaulter and the bank should not provide loan the client. Year to year Loan sanction Position of Cash Credit (Hypothecation) in Shyamoli Branch. In this figure shows the upward trends and downward trends for UBL, Shyamoli Branch loan sanction, from 2006 to 2010 under cash credit (hypothecation) types of loan. Loan sanction in 2006 was TK 1531 lac and increased growth was 23.13%, in 2007 was Tk533 lac and increased growth was 2.68%, the highest loans in this types of loan and in 2006 was TK 1531 lac and increased growth was 23.13%. In this figure shows the upward trends and downward trends for UBL, Shyamoli Branch loan sanction, from 2007 to 2010 under cash credit (Pledge) types of loan. Loan sanctions in 2006 were TK 27 lac and increased growth was 0.40%. The highest loan sanctions in this type of loan and in 2008was Tk 50 lac but increased growth was 2.21%, and in 2010 was TK 47 lac and increased growth was 0.15%. In this figure shows the upward trends and downward trends for UBL, Shyamoli Branch loan sanction, from 2007 to 2010 under consumer credit scheme types of loan. Loan sanctions in 2007 were TK 41 lac and increased growth was 0.20%. The highest sanction in these types of loan and in 2008 was Tk 66 lac and increased growth was 0.26%, and in 2010 was TK 47 lac and increased growth was 0.15%. In this figure shows the upward trends and downward trends for UBL, Shyamoli Branch, and sanction from 2006 to 2010 under SBL types of loan. Sanctions in 2006 were TK 3994 lac and increased growth was 60.35%. The highest sanction in the SBL in 2008 was Tk 15445 lac and increased growth was 68.43%, and in 2010 was TK 13795 lac and increased growth was 46.39%. In this figure shows the upward trends and downward trends for UBL, Shyamoli Branch, and sanction from 2006 to 2010 under LTR types of loan. Sanctions in 2006 were TK 455 lac and increased growth was 6.87%. The highest sanction in the LTR in 2010 was Tk 2240 lac and increased growth was 7.53%. The following procedure is followed by Shyamoli branch while preparing proposal for loan. First, borrower has to apply to UBL for their loan by filling up of a specific application form given by the bank in respect of their own status (individual/proprietorship/public/private ltd.etc. ).A very efficient team of employee is working under the supervision of sales manages to help the borrower in this regard. In case of individual loan, an applicant has to submit at least 6 month latest financial statement of their own bank account along with his photocopy of passport or ID card or any other documentation, as his personal identification. If the loan is for house repairing then the borrower has to submit various documents of existing house as an evidence of house owner. Thereafter, he has to submit price quotation accepted and signed by the borrower, a salary certificate given by the organization (if borrower is a service holder) and with all other necessary documents. But in the case of business person, some excess documents are required. Borrower has to submit at least 12 months latest financial statement of their own bank account. They are also required to submit the names of all board of directors of the organization. Two passport size photographs of the applicant duly attested by manager/ relationship manager of the branch. A photograph of the house/ building/ flat is to be sent with the proposal. Estimate of the proposed expenditure to be incurred for the repairing and or renovation of the house/ building/ flat to be submitted of the application. Banks Statement for minimum last 6 (six) months of the account of the client. Contact Point Verification Report by banks authorized officer. The repairing and/ or renovation work must be done within the premises as per estimate submitted by the party with the application. Since there is no provision for insurance cover against the loan, the borrower will furnish an under taking to the effect that he/she will repay the banks loan even if there is any loss of property due to natural calamity. The borrower will allow the bank official to inspect the side at any time. The borrower will immediately inform the bank if he /she or his /her grantor changes residential address or professional. The borrower will not sell, gift or transfer the possession/owner ship of the house/building /flat before full adjustment of the loan without prior permission from the bank. Existing rent of the house /building /flat and other source of income of the applicant are to be mentioned in loan application form. After that, the applicants for loan has to fill up a CIB (Credit Information Bureau) form and must be verified by Bangladesh Bank whether the applicant has any irregularities in repayment of loan or any other credit records. Application and passport size photograph: The employees of Shyamoli branch cheeks application and 2 or 3 copies of recent passport size photographs. Price quotation: A quotation accepted by the applicant should also be submitted to Uttara Bank Limited. And this quotation must be real, because this is also be verified, it is genuine or not. Passport /voter ID / office ID/ other ID: Passport, voter ID, office ID, or any other Kinds of ID are also required as and evidence of the applicants ID and should be submitted by the prescribed application form. Salary Certificate: If the applicant is a service holder, then a real salary certificate, signed by his superior is also needed. Photocopy of registered/Notarized partnership deed: if the business is a partnership business, then the applicant has to submit a photocopy of registered or notarized partnership deed to Uttara Bank Ltd. these deeds of the applicant business are also be verified carefully. Tax documents: sometimes personal relevant income tax documents are also needed and should be submitted to Uttara Bank td. Bank statement: bank statement of the applicant’s account is very much important. The applicant has to submit latest 6 months transactions. Checking duplicity and regular liabilities with Uttars Bank Ltd. in this part of verification duplicity and regular liabilities of an applicant UBL are also be checked. Checking proper filling up of the application: filling up of the application is also an important requirement. After that, Shyamoli Branch sent a very efficient team for the verification. If the team is satisfied by all aspects, then they report to the branch manager. If the branch manager agrees, then he gives order for preparing proposal for loan. After getting the permission from manager the employee’s team prepares loan statement of shyamoli branch. By adding all the documents, submit it to head office and zonal office. CIB is a regulatory requirement for Loan Documentation. Credit Information Bureau (CIB) of Bangladesh bank has a central database for all the lenders of Bangladesh. It contains the total credit history of a client and act as the most dependable source to analyze the credit worthiness of a prospective client. Obtaining the CIB clearance is a precondition of fund disbursement and all type of Retail, SME and corporate loan require CIB report before disbursement. For some retail unsecured assets, UBL obtains post-factor CIB clearance. However, in most cases AOD obtains the CIB for a client before disbursement of fund. These forms are filled up by the business units and sent to the CIB segment of AOD. CIB segment maintains a central database for all the CIB inquiry forms. Each form is registered under a Head Office serial number and a Branch/ Unit office serial number. Therefore AOD prepares a forwarding letter with reference to 20 such inquiry forms, and sent them to Credit Information Bureau of BB once in a day. Usually the CIB reports are received within 7-10 working days. After receiving the reports from BB, AOD prepares a summary of the report and put that as reference in the loan file along with the photocopy of the CIB inquiry forms, undertaking and copy of the original CIB report. For any mistakes made in the forms, writing wrong spelling, incomplete name of individuals or institutions, CIB report may show error as mismatch exists there. Those CIB inquiry forms require to be sent again correcting the facts. CIB reports are usually updated quarterly and half-yearly. Therefore most updated CIB reports are required to be obtained and CIB report is also require for the same client for repeat loan. All forms need to be supported by the Applicant’s Undertaking and all the forms are signed by designated officers of the business organization. A potential customer to interested to avail Lease Finance from our bank will apply in standard application Form design by the bank along with a brief write-up on the proposal/equipment expected returns/benefits for the use of such equipment or automobile as the case may be. A competitive quotation of the lease item issued in favor of Uttara Bank Ltd. shall have to be submitted. After examination of the various aspects of the project, if the branch manager /relationship manager fully satisfied about the financial standing, credit worthiness, management set–up , professional integrity , technical feasibility , repayment capacity etc, of the provost lessee and business viability of the project ,the proposal may be forward to head office through the zonal office with necessary comments ,view and recommendation for approval. All letters addressed to the borrowers sanctioning credit facilities should be prepared in duplicate and signed by two authorized officers of the Bank. Among the two authorized Officer one must be a Manager of the Credit Team. If the terms and conditions of loan sanction letter are acceptable to him the borrower should return the duplicate copy duly signed. Client’s information & Loan details is matched with the Credit approval then loan is sanctioned & a Loan Sanction Number is auto generated. Loan Applications in the prescribed format shall be received at Credit Approval unit recommended by sales team along with annexure that covers comprehensive LPF information detailed in the Prudential Guideline advised by Bangladesh Bank. The sales team is responsible for loan sales and should be the owner of the customer relationship, and must be held responsible to ensure the accuracy of the loan application submitted for approval. They should be familiar with the bank’s Credit Policy and PPG and should conduct due diligence on new borrowers, purpose of the loans and guarantors. During recommending for a client it is expected that the respective Officer has adhered to Know Your Customer (KYC) and Money Laundering guidelines. Approvals must be evidenced in writing, or by electronic signature. Approval records must be kept on file with the Credit Applications. Loans and advances on becoming inoperative / stuck up should not be renewed and / or re-scheduled without getting prior approval from the Credit Committee. In case of loan take over from any bank/financial institution, then any correspondence should be made with the bank/financial institution directly, such as security takeover. Original Title deed for the entire mortgaged property. Bia Deeds/ Duplicate of Bia Deeds to support the Title Deed. Up todate duplicate Carbon Receipt for the property after mutation. Non Encumbrance Certificate issued by the Sub-Registrar’s Office for the past 12 years. Up todate Rental Receipt for the property. Mortgage deed between Uttara Bank Limited and the enterprise. Notarized Memorandum of Deposit of Title Deeds. Power of Attorney in favour of Uttara Bank Ltd. If any documentation deficiency is found, the concerned CRO, ZO is informed for resolving the deficiency. After checking the required fees submission for Loan Documentation, the application is sent for Insurance Premium Checking. In case of advance in different project, the interest rate is too high. Maximum parties have no financial strength. In terms of law and order situation sometime it is very difficult for the bank to liquidate the collateral when the party is unable to pay the debt. Most of the parties are creating some sort of pressure to get the loan. There are some mortgage problem such as, acquisition and proprietorship, problem of asset. After showing that papers he got the loan. Any kind of properties or fixed deposit. But Karim Rahman was unable to show that kind of papers. So He did not get the loan. There is a person named Sohel Rahman is a service holder worked in a NGO. His basic salary is 20,000 thousand. His agricultural income is 10,000.He get other facilities from his office. He also gives income tax. He has an account in UBL. He applied for loan tk.5, 00,000. Basically this loans limit is 10 lacks. The interest rate is 16% of this loan. And no need to show any collateral. So Sohel can get the loan easily. After showing these kinds of papers Mrs.Shaila got the loan. From the above table it has been observed that the loan disbursement of UBL has a successive record. But the point being observed here is that the loan recovery process follows a chronological fall from the FY 2005-06 to the FY 2009-10. This is because the loan disbursed among the projects are collected or recovered on an installment basis. However, the loan amount each year has been increased. Therefore there must have an increase in recovery amount. But the amount of written-off loans has been increased. This indicates a controversial cause and effect between theoretical and practical situation. From table- 11(figures showed in parenthesis is a negative change) it is seen that loan recovery rate in the FY 2008-09(18.95%) is highest. But total loan outstanding in FY2008-09 is the lowest one. And now from table-10 again it can be compared that during FY2008-09 the rescheduled loan and written off loan is highest in compared to other FYs of UBL. In the FY 2008-09 total loan increased by 303 million taka but loan recovery rate decreased by 2.38%. This situation exhibits a hidden problem in UBL loan sanction and recovery process. The loan and advance department takes a long time to process a loan because the process of sanctioning loan is done manually. Since loan and advances department is not fully automated there is a high risk of losing documents of disbursed loans. In case of advances in different sectors the rate of interest is too high. Because the rate of interest in Small Business Loan is 16%, Loan Against Work Order 16.5% and Uttaran House Repairing Loan is 17%, which all the rate of interest are higher than that of other some banks. Small entrepreneurs are discouraged because UBL usually do not want to finance small entrepreneurs whose financial standing is not clean to them. The Bank has a tendency to give loan only businessman. In 2010 the sector wise loan sanction shows that 55.11% in industrial sector and 28.5% in commercial sector. In terms of law and order sometimes it is very difficult for the bank to liquidate the collateral, which makes the borrowers unable to pay the debt. The bank does not provide more loan in the small and cottage industry and the agricultural, Fishing, and Forestry also. Installment period and installment time duration is relatively low. Because the installment time duration is monthly or 6th periods in a year for this reason borrower can not utilize their debt facility properly for profit maximization. There are some mortgage problem such as acquisition, proprietorship and problem of asset. The loan and advances strategy of the UBL is not appropriate enough to survive in the market. Maximum amount of the loans are provided in the long-term industrial loan sector. Online banking facilities, ATM services and mobile Banking facility are not available. Absence of ethical banking or green banking. Uttara bank limited does not update its Websites regularly, as a result the clients are unable to gather information. Loan and advances granted by Uttara Bank Ltd are highly beneficial for firms, individuals, companies and industrial concerns. Loan may be regarded as credit granted where the money is disbursed and its recovery is made on a later date. It is a debt for the borrower. Advance is a credit facility granted by the bank. Bank granted advances for short term purposes. Loan and advances granted by banks help in meeting short term and long term financial needs of business enterprises. Loan and Advances comprise the most important asset as well as the primary sources of earning of the bank . A prudent bank management should always try to make an appropriate balance between return and risk involved with the loan portfolio and unregulated bank might be with unregulated risk for maximizing its potential return .In such a situation, bank might find itself in a serious financial distress instead of improving its financial health .Consequently not only the depositors but also the general shareholders will be deprived of getting back their money from the bank. Credit Division of Uttara Bank has a very qualified and dedicated group of officers and staffs who are always trying to provide the best service to the clients. They always monitor the credit in different sectors and their position. Before providing the loan they analyze whether the loan will be profitable and whether the client is good enough to repay the loan within the given period of time. Credit department diversified their loans in different sectors classified by them. Among the sectors the bank doesn’t provide more loans in the agricultural side. The reason showed that this sector is very risky and depends on natural climate and still didn’t expand their service in the rural side. The bank also does not provide more loan in the small & cottage industry. The reason is that the return from this sector is not very good and also the sector is very uncertain. The bank provides most of the credit facility in term loan mainly in long-term loans. Return from short-term loan is very good and also proves to be very safe to finance. The procedure of loan sanctioning should be automated to make sanctioning of loan less time consuming and reducing the risk of losing documents of disbursed loans. To create better client the bank should decrease the rate of interest on different sector, especially in Uttaran House Rpairing Loan and Small Business Loan. The bank should diversify its loans more to finance small entrepreneurs for better growth of the country. The bank can provide student loan, doctors loan etc, this may encourage the students to come forward to do something for the economy. And also increase the amount of personal loan and consumer loan. The law and order should be easier for the bank to liquidate the collateral, so that the borrower can be able to pay the debt easily. Maximum number of the loan is provided in the long-term industrial loans. Bank’s clients are also limited. So, they can’t serve the economy of the country that much. So, they should diversify their loans more in agriculture, forestry, fishing and new industries etc. for better economic growth of the country. Installment period and installment time duration should be increased so that the borrower can utilize their debt facility properly for profit maximization. In case of some mortgage problem such as acquisition, proprietorship and problem of asset, the bank should try to avoid this type of loan sanction. The bank should try to increase it’s recovery amount since loan amount each year has been increased. The bank should induce quality client and select best project for risk free rate of interest. The bank should update it’s loan and advances strategy in sustainable and appropriately enough to survive in the market. The bank should provide more loans of small scale in different sectors though it will decrease the profit a little. But it will be very safe. In a competitive financial market, the bank should innovate it’s products & services need to be focused more on customers needs. UBL has 211 branches all over the country. It is very hard to provide full range services with those branches. The bank needs to pay more attention toward the expansion of the branch network. The bank should develop quality service in respect of speedy disposal both at branch head office regarding loan and advances operations. A consistent relationship with customers should be improved & maintained. For surviving in the market, online banking facilities, ATM services and mobile Banking facilities should be provided. The bank should formulate the ethical banking or green banking both internally and externally.